Kura Kura is that little piece of heaven, an oasis in hectic modern times, a place to feel the true spirit and magic of Bali. It’s a special place where you can submit yourself to the simplicity and greatness of ‘just being’. Kura Kura Yoga Retreats Bali is located along a small river, just steps away from the sea in Canggu, Bali. Kura Kura was originally built as a family house, and grew into a retreat center with 7 Java style houses, a family of 5 staff members, a swimming pool, on-site massage and healing sessions, and a beautiful Yoga Shala, which is the heart of Kura Kura. 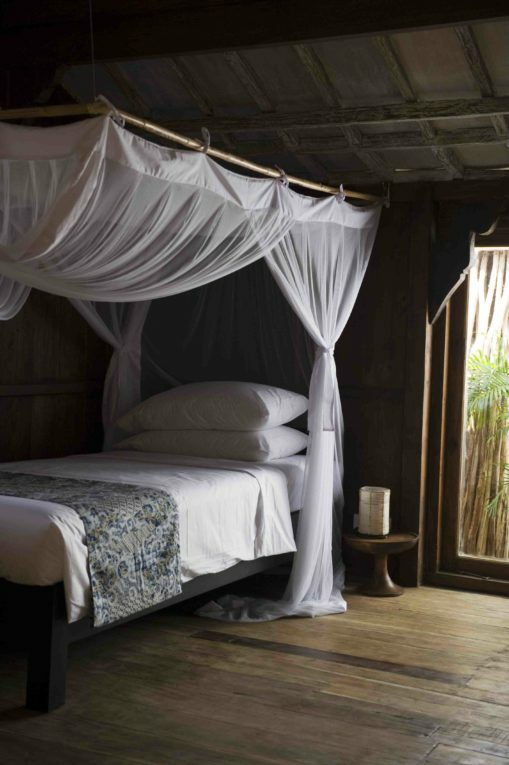 …Begin each day by waking to the soothing sounds of the jungle & the sea. Enjoy fresh fruit and tea before an uplifting yoga practice in the breathtaking Yoga Shala. Your teachers, facilitators, fellow traveling yoginis, and vibe guides, Kat + Samantha will lead two offerings each day. Once in the morning to set the tone for your day, and once in the evening to wind down and rejuvenate. No yoga experience is required, and all offerings are optional. The various practices will be inspired by hatha vinyasa, ashtanga, franklin method, yin, and restorative yoga. Enjoy practices curated especially for you and exactly what you need day to day. The retreat includes two sacred Balinese healing ceremonies. First, a purification ceremony at the Sacred Water Temple, Tirta Empul, outside of Ubud. This includes a full immersion in the pools to cleanse & purify, with guidance and explanation by our Balinese healer. The purification is followed by a meditation and blessing from the Temple Priest. The Agni Hotra is a mantra-infused fire ceremony beautifully set up and overseen by two Balinese priests, and a healer. This ceremony has an emphasis on releasing to creating a clear future. This is a Balinese Hindu interpretation of the Indian equivalent. The healing ceremonies will be paired with practices led by Samantha & Kat to help you let go & set intentions for your future.